Gunnar Sævigs Sal, Griegakademiet i Bergen. 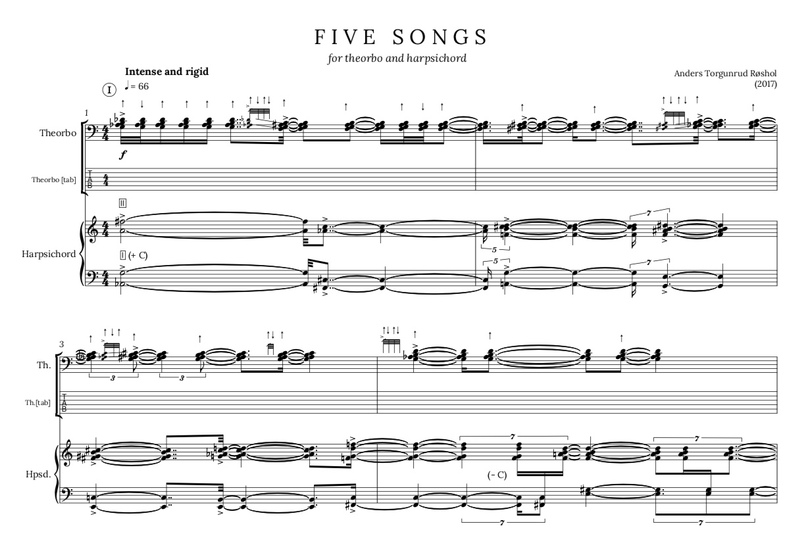 After a intense exchange of chords between the instruments comes four sections with similar narratives. The theorbo presents arclike melodies, but each time the harpsichord interrupts with it's own material, unrelated to the melodies of the theorbo. The present form of the piece is still considered a draft, a rough assembly of unrealized materials. Hopefully I will have the opportunity to finish the work someday.